If we want to capture a brief history of the tap dance, it is necessary to use the imagination just a skosh. Some folks hold that in American slave history, the fear of slave revolt drove owners to forbid the use of drums by slaves to communicate over long distances, but that the slaves simply transferred the code of the drums to their feet. By tapping out the complexities of communication with their feet, they were able to impart information among themselves without the knowledge of the slave masters. Taking history a bit farther and perhaps the imagination also, there is the theory that by the 19th century these same slaves co-opted the Irish solo step dance as well as the English clog dance to add to their foot tapping communication and voila! the style known as the “buck and wing” was born. Originally, this was done in wooden shoes, moving the ball of the foot across the floor before dropping the heel to make the tap. It was done in 2/4 time combining the high kicks of the Irish step dance with the shuffle and slide prevalent in the African rhythms. It is generally considered a pre-tap routine done by Vaudeville performers portraying slave males known as “Bucks.” The “wing” was because one leg shot out during the performance emulating both Irish and English clogging. The Juba was such a dance, made famous around 1840 by William Henry Lane, a free-born black, who traveled with an all white dance troupe and known as Master Juba. Many credit him as the creator of American tap as a theater art form. Besides the wooden-sole shoe tap dance, another form, one using a soft-shoe smooth-leather sole was done by George Primrose, an Irish stylist traveling with an American dance troupe in the 1870s. These two styles gradually united in the late 19th century and by the second decade of the new century, taps had been appended to the leather soles completing the equipment cycle. However, styles of tap dance were by no means developed but were doing so rapidly. For example, most black dancers worked in teams applying acrobatics to their dance routines. Syncopation was added. Bill “Bojangles” Robinson relied on jazz for additional rhythmic complexity. During the 30s and 40s, Fred Astaire and Roy Bolger, followed in the 50s by Gene Kelly, added dance movements from ballet. Some modern dance style was also included during this period. So now we have had a quick overview of tap and where it came from, but anyone interested in pursuing it advocationally wants to know what is it today, and how does one proceed to learn it? 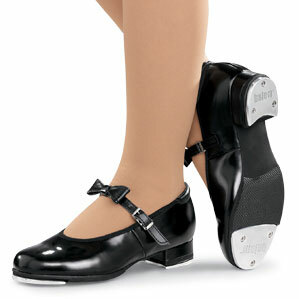 Common steps include the shuffle, the flap, the cramproll, wings, stomp, scuffs, toe punches, heel clicks, and riffs. Some of those are self-explanatory, some are not. The flap, for instance, requires that you brush your toe on your right foot and set it down so that it makes a nice, decisive sound. The cramproll, on the other hand, makes a sound like the gallop of a horse by doing two steps, drop the heel twice and release it immediately. What is a riff, you ask. Here the dancer stands on one leg and hits the ground with the ball of the other foot as he swings that leg out front ending with a drop of the heel. Sound all very complicated? Tappers out there assure those wishing to join the ranks that one is never too old to learn. Some have begun in middle age and become quite proficient; of course, the ideal for any dancer is to begin at an early age but given that that has passed you by, do not hesitate. Jump right in. Find a good studio with good teachers and have fun.